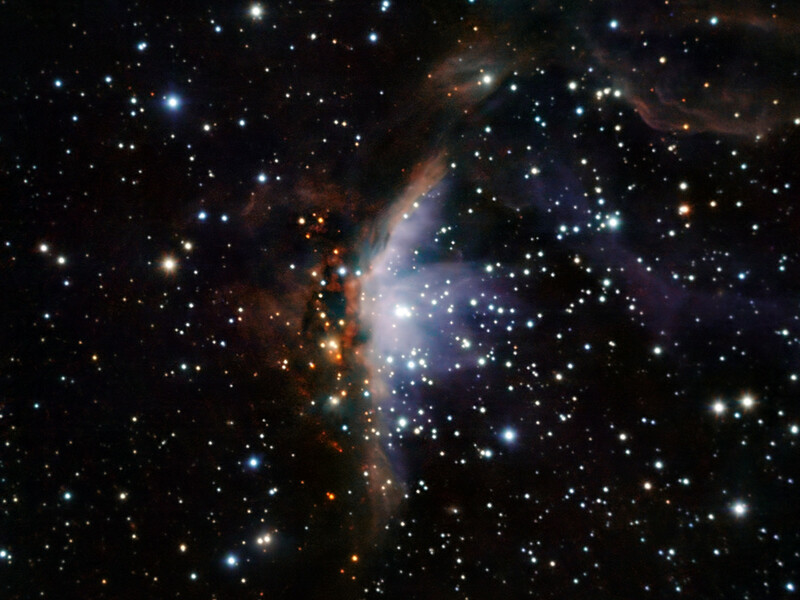 This image of the Gum 19 star-forming region was obtained with SOFI, an infrared instrument mounted on ESO’s New Technology Telescope (NTT) that operates at the La Silla Observatory in Chile. 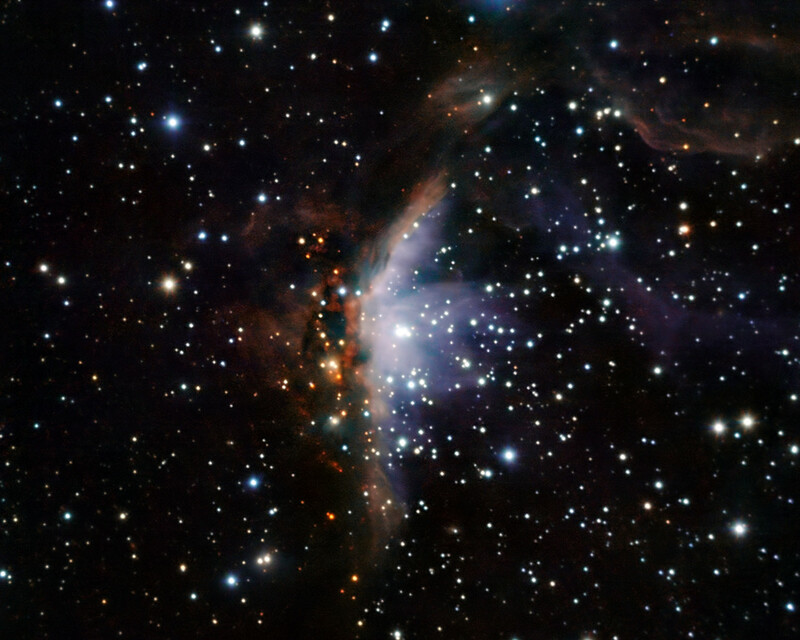 Gum 19 is located in the direction of the constellation Vela (the Sail) at a distance of approximately 22 000 light years. 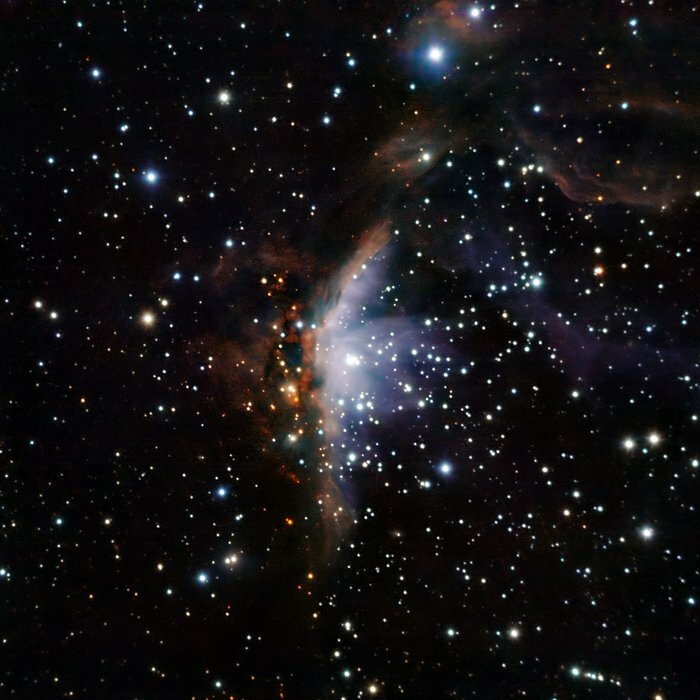 The furnace that fuels Gum 19’s luminosity is a gigantic, superhot star called V391 Velorum. Shining brightest in the scorching blue range of visible light — V391 Velorum boasts a surface temperature in the vicinity of 30 000 degrees Celsius. Within the neighbourhood of this fitful supergiant, new stars nonetheless continue to grow. In several million years — a blink of an eye in cosmic time — they will eventually reach the high density at their centres necessary to ignite nuclear fusion. 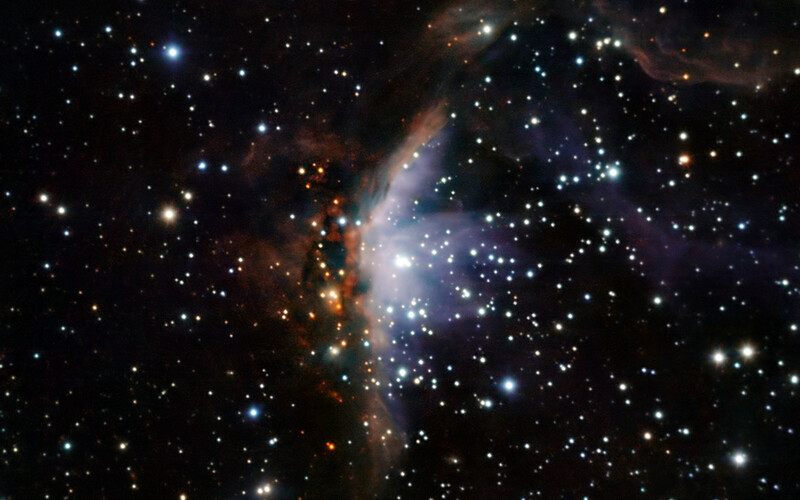 The fresh outpouring of energy and stellar winds from these newborn stars will also modify the gaseous landscape of Gum 19. The image is based on data obtained in three near-infrared bands (J, H, K; associated respectively to blue, green, and red). The image is 4.7 arcminutes across. Position (Dec): -43° 5' 57.13"